a working man (or pensioner) needs a hobby. there's either the hours to fill after the day's work down the mine has ended, or the need to fill the empty gap between rise and fall each day. supping pints of cappuccino and a few games of dominoes are all very well, or perchance in a westerly wind, sitting on the bench in front of one's white painted cottage admiring the autumn/fall house and the water feature. but those are time fillers, not hobbies. now, cycling, that's a real man's game. nipping out for a couple of hundred kilometres before breakfast of a boiled egg and stewed tea, then stripping t'frame to its component parts with us bare 'ands, a worn screwdriver and a cotton bud, then reliving the milan san remo course on a tacx trainer in t'living room after lunch. that's a real man's sport. and if you're a real man, the only way to relax is on the comfy chair in the corner at debbie's, being heckled by the hired help and graciously acknowledging the steady stream of customers from behind your monogrammed mug. 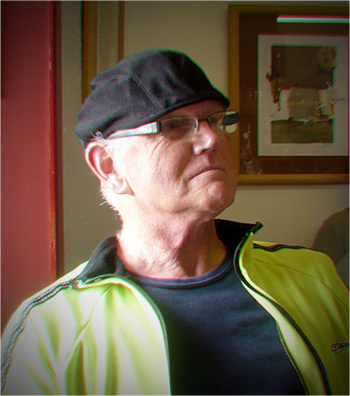 such are the life and times of the mighty dave t, a man who has become a legend in his own lunchtime, and a man amongst the ardbeg peloton who has the gravitas and stature to wear an endura baabaa flat cap while supping and slurping continues all around. but if you tell it to t'kids of today (like that armstrong fella), they'd never believe you. but true it is, the cap, i mean; featuring a polyester mesh inner for its wicking properties, the outer layer is 100% merino wool. it even arrives with a woolmark tag to prove it. fitting very neatly and subtly under a helmet, the merino flat cap is the ideal alternative for those who feel the more regular casquette is not for them; the domestiques and champions for whom darts and dominoes go hand in hand. naturally, very few will achieve the style and distinction that is the preserve of the mighty dave t, but it's always nice to have some goals in life. the endura baabaa merino flat cap is easily machine washable, comes in one-size-fits-all at a cost of only £22.99 ($37). and of course, it has the mighty dave t seal of approval. worth bragging about over a cappuccino.